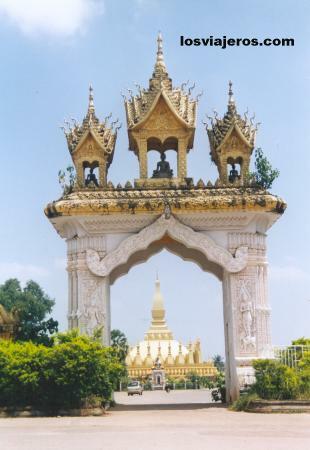 Pha That Luang - Vientiane - Laos: Arco delante de Pha That Luang. Pha That Luang - Vientiane - Laos: Pha That Luang in the background. Traje típico de Laos. Lao traditional Clothing "Index"